It may be Monday again, but fret not, because here's a fresh round of deals to help with that. If you've got Wi-Fi dead spots in your house, you've probably already thought about a mesh Wi-Fi solution. 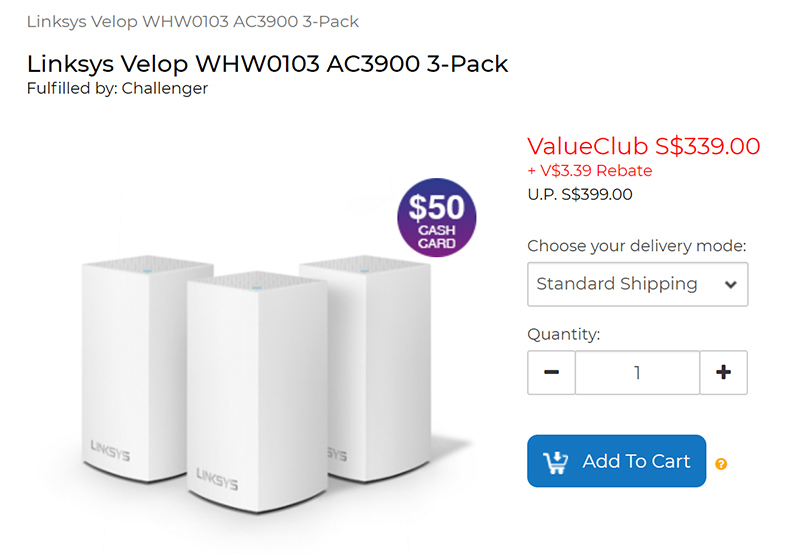 Each Velop unit functions as a dual-band AC1300 router that broadcasts on a 2.4GHz network and 5GHz network. In addition, each unit is equipped with two WAN/LAN Gigabit Ethernet ports. It is available on Hachi.tech for S$339, down from a usual price of S$399. You'll also be eligible to redeem a S$50 cash card from Linksys. The new Logitech MX Sound features drivers with a 24-watt peak power and specially designed port tubes to extend the bass range. It supports both Bluetooth and wired connections, so you can go the cordless route if you wish. In addition, Logitech's Easy-Switch technology lets you easily switch between different audio sources. It is available on Hachi.tech for S$96, down from S$149 usually. 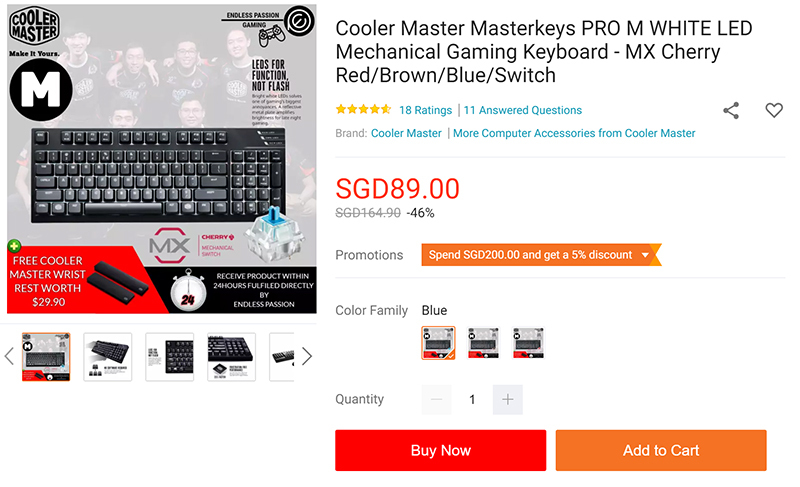 The Cooler Master MasterKeys Pro M is equipped with Cherry MX switches and white LEDs. In addition, you'll have a choice between Red, Brown, or Blue switches. The keyboard also supports on-the-fly macros and user profiles, so you can customize it to suit different games. 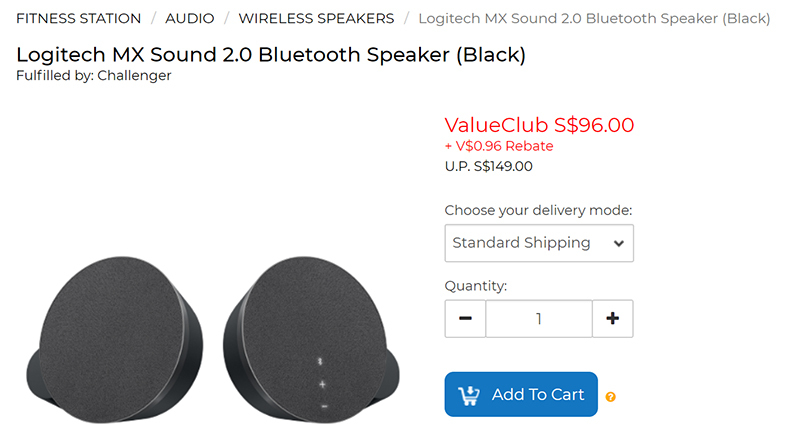 You can get it on Lazada for S$89, down from S$149 usually. Amnesia: The Dark Descent is a pioneering first-person survival horror game that has fast become a classic. Its immersive gameplay and truly chilling environs make for a nice introduction to the genre. You can get it at just US$2.99 from Humble Bundle, down from US$19.99 usually. The Next update for No Man’s Sky is live, and it helps push the game closer to what it was supposed to be all along. The update delivers some drastic improvements to the game, including support for up to four-man multiplayer. 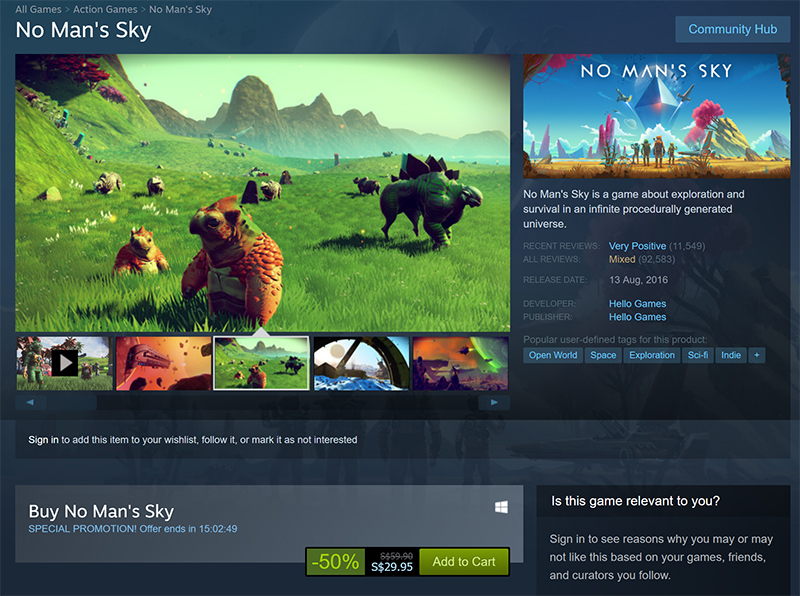 The game is on sale now on Steam at S$29.95, 50 per cent off its usual price. Editor's note and disclaimer: The deals are not an endorsement or recommendation of the product from the editorial team. Instead, the listed items present themselves as a good deal based on the novelty factor and how much of a discount it is being offered from standard retail pricing at the time of publishing. Please note that we are not responsible in any way if you're unable to secure the listed offer due to errors on our part or should the offers expire by the time you've checked them.